Backed by the NSW bookies co-op and provides a top-notch horse racing and sports betting service. AFTER decades of success in New South Wales racing, the Palmer family has begun its evolution from trackside cash bags to a nation-wide online bookmaker service. In a market largely dominated by overseas gambling giants, Palmerbet.com.au is a new, Australian-owned option that specialises in racing and sport. The Palmerbet brand and website was launched in 2013. It didn’t take long for the bookmaker to grow and expand – a big 2015 advertising and marketing campaign put the company on the national stage. In this review we look at the bookmaker’s strengths and weaknesses, its specials, features and whether the bookmaker is deserving of your business. 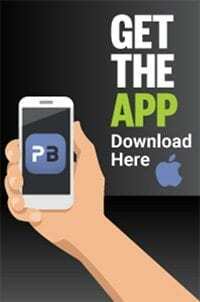 Like every online bookmaker Horsebetting.com.au recommends to punters, Palmerbet offers a deposit-match for new members. How do you qualify for the special? It’s very simple and it starts with signing up and becoming a member. Palmerbet offers new members a first deposit match of up to $250. That means that once you’ve signed up, the bookmaker will match your first deposit, dollar for dollar in ‘bonus bet cash’, up to $250. Bonus bets work differently to your own cash – the free money from your bookmaker comes with stipulations attached before you can withdraw it, but you’ll be free to use it on betting on any betting market the bookmaker offers. 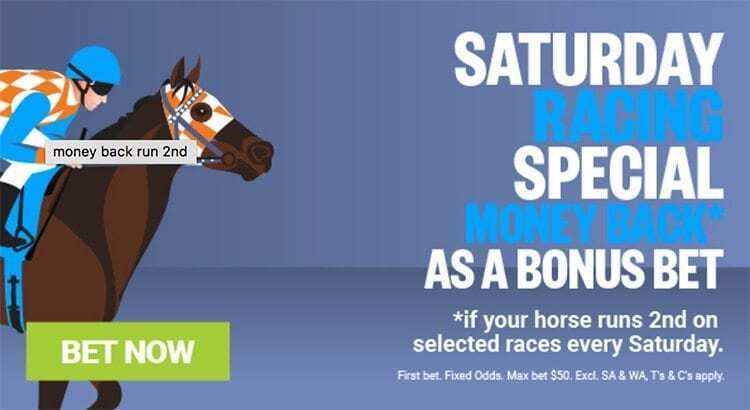 Super Saturday: Get your money back in bonus bets when your horse runs second in selected Saturday meetings. Mid-week racing special: Get your money back in bonus bets every Wednesday when your horse runs second. Big Bash special: Get your money back in bonus bets if your team scores 170+ and loses. NBA Friday special: If your team leads at the end of the third quarter but loses, get your money back in bonus bets on Fridays. A-League goal-scorer special: If your first goal-scorer bet scores at any time during the match after the first goal, get your money back in bonus bets. Monday greyhound special: If your dog runs second at Albion Park on Monday, get your cash back in bonus bets. Palmerbet is optimised for all of your internet-enabled devices. When using your desktop or laptop, the website has a clean, easy-to-use layout that works well on every internet-browsing tool. While the smartphone app is also easy to use, quick and convenient to put a bet on in a hurry and reviewed extremely well online, it is restricted to just Apple products. An app for Android operating systems is said to be in the works and should be released soon. Android users should not feel overly-slighted – the mobile website is just as fast and easy to use as the phone application. Palmerbet’s service for racing punters is among the very best any Australian bookmaker has to offer. The bookmaker offers races from every certified domestic race meeting in Australia, as well as markets on multiple international venues in racing strongholds including New Zealand, Hong Kong, France, the UK, the USA, South Africa and Japan. In addition to its commitment to thoroughbreds, Palmerbet offers markets on all the major races in harness and greyhounds in Australia and New Zealand. Like every major bookmaker, Palmerbet provides the full range of betting and exotic options – exactas, trifectas, doubles, quaddies, first fours – you name it, they offer it. During major racing events the bookmaker is also well-known for offering an ‘odds boost’ – substantially increasing its odds for a limited time on the Melbourne Spring Carnival’s biggest races. Palmerbet may have made its name in racing, but its markets and betting promotions in the sporting world are just as impressive. Odds, exotics and betting markets work much the same way as the major Australian online bookmakers and with a number of bonus bet money-back specials, there’s a number of reasons to sign up and do your sports betting with Palmer. Palmerbet offers a safe and secure betting service for its members and is licensed by the NSW Office of Liquor, Gaming and Racing. When making direct transfer deposits, your money should reach your betting account within 24 hours, depending on the day your deposit is made. The minimum deposit amount for is $10 and the minimum withdrawal amount is $5. Withdrawals can be made easily – your funds will appear in your nominated Australian bank or credit union account within 48 hours after making your request.